Description: EvidBT Professional Blogger Templates is a Professional Responsive Blogger Template for business blogs, personal blogs and for many different purposes. 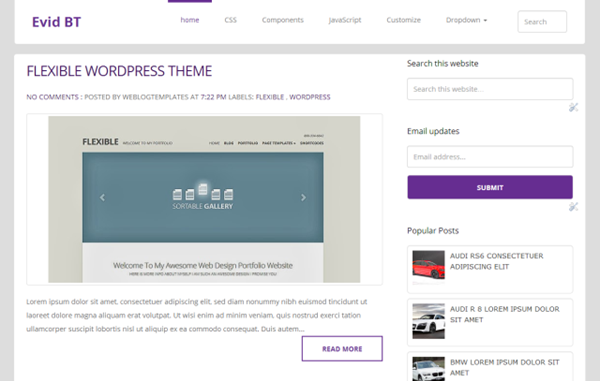 This template will help you to setup a professional blog using free blogging platform Blogger. EvidBT is fast, responsive, minimal and simple design.